The 1963 Studebaker Avanti and the Twilight Zone were both new in 1962 - Rod Serling's introduction to the TV show "The Twilight Zone" remains one of the best known opening themes in TV history. "There is a fifth dimension beyond that which is known to man. It is a dimension as vast as space and as timeless as infinity. It is the middle ground between light and shadow, between science and superstition, and it lies between the pit of man's fears and the summit of his knowledge. This is the dimension of imagination. It is an area which we call the Twilight Zone." 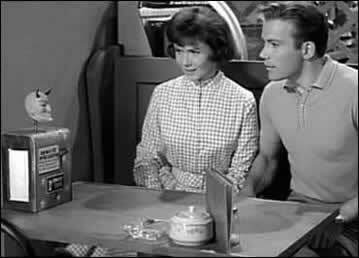 The twilight zone television series was broadcast from 1959 through 1964. It remains popular probably because its disquieting themes reflect our innermost fears. Rod Serling, who hosted the show and wrote many of the episodes, was an Avanti owner. The video plays the opening theme from 1962. 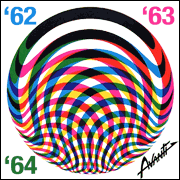 The opening theme from 1962, one of several versions. 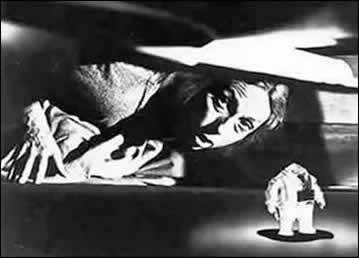 Agnes Moorehead terrified by tiny Invaders in the episode with no spoken dialog. William Shatner confronts the Mystic Seer in the Nick of Time episode. Billy Mumy played Anthony Fremont in It's A Good Life. 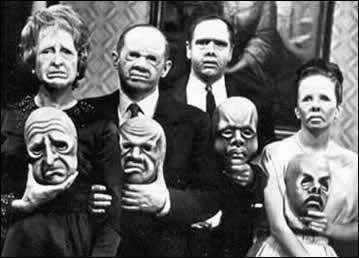 The Masks written by Rod Serling and directed by Ida Lapino.